A large number of psoriasis creams, gels, lotions, ointments, and shampoos are available. Here are some of the most common. Emollient products (moisturisers): There are a huge range of commercial moisturizing psoriasis creams, which will help alleviate mild psoriasis. There’s no need to pay a fortune, as many chains of shops have an inexpensive own brand of moisturizing cream. Just find out which one works best for you. You may prefer to use coconut oil, which is an excellent emollient, although somewhat messy. Coal tar products: Exorex lotion is a commonly-used coal tar product, which can be bought at some pharmacies. You apply it to the affected skin, and leave it to dry (which should only take a few minutes). Coal tar soaps are available, but may contain little or no actual coal tar, so most are not recommended for psoriasis treatment. Alkaline earth products: Dermalex Psoriasis Cream is a relatively new, expensive product, in which alkaline earth salts are supposed to combat psoriasis. There is some doubt as to whether it is an effective treatment or not. Steroid products: Betnovate contains the steroid betamethasone, and is available in cream, ointment and lotion form. Diprosone cream and ointment also contain betamethasone. Alphaderm cream contains the steroid hydrocortisone, which is a somewhat milder steroid than betamethasone. All steroids give a risk of side-effects, such as skin thinning, with prolonged use. Vitamin D analogue products: Dovonex contains the vitamin D analogue calcipotriol, and is available in ointment form (the cream has recently been discontinued). Daivonex cream is another brand containing calcipotriol, which is also commonly used. Calcipotriol is a mild treatment, which is preferable to steroids for prolonged use. However, it tends to be ineffective in more severe cases. It should be avoided if you are pregnant, since there is a lack of data on its safety or otherwise during pregnancy. Dithranol products: Dithrocream is a common dithranol product. You normally apply the cream, wait an hour, and then wash it off. However, follow the instructions your doctor gives you, as application times will vary. Micanol cream is another dithranol product, which is used in a similar manner. Dithranol products can cause a burning sensation in some people, so doctors often start patients off on a low concentration formulation, increasing the strength later if need be. All dithranol products can stain towels, clothing and bedding. Calcineurin inhibitor products: Elidel cream is available, and may be prescribed by your doctor as an alternative to steroids, since it’s an effective treatment that does not lead to skin-thinning on prolonged use. It contains the calcineurin inhibitor pimecrolimus. Protopic ointment is also available, containing the calcineurin inhibitor tacrolimus. Avoid both products if you are pregnant or breast feeding. 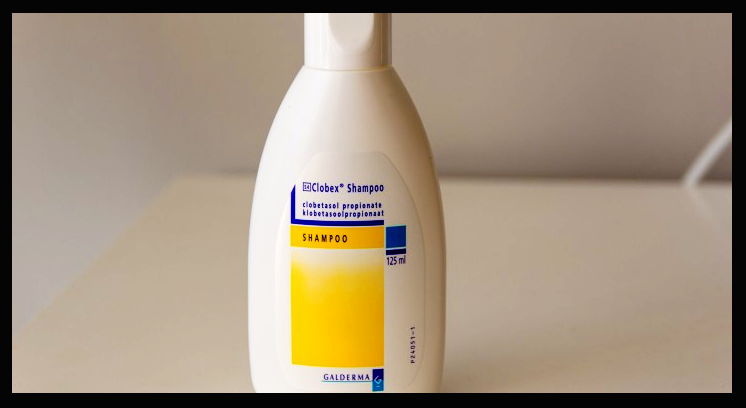 Coal tar products: A number of commercial shampoo formulations are available, such as Neutragena T/Gel therapeutic shampoo. Psoriderm scalp lotion shampoo and Alphosyl 2 in 1 shampoo are both coal tar products. Capasal shampoo contains coal tar, salicylic acid and some coconut oil. Sebco ointment contains coal tar and salicylic acid in a coconut oil base. It’s rubbed into the hair, left for at least an hour, then washed out. A popular coal tar shampoo, Polytar shampoo, has recently been withdrawn from the market. Vitamin D analogue products: Calcipotriol scalp solution is available. It should be applied to the hair twice a day. Steroid products: Betnovate scalp application contains the steroid betamethasone. Dovobet gel also contains betamethasone, along with calcipotriol. 0 Response to "Psoriasis Creams and Shampoos"